“Make no mistake: evil does exist in the world,” Mr. Obama said. “A non-violent movement could not have halted Hitler’s armies. 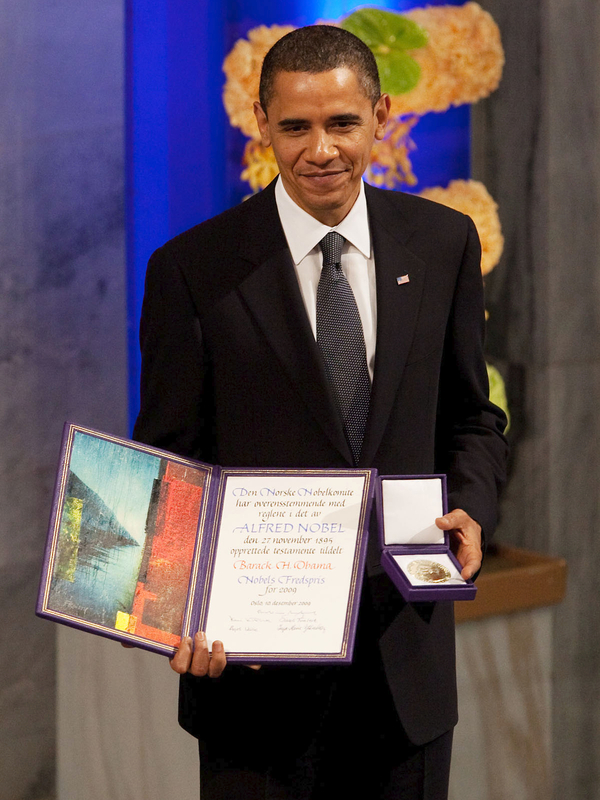 Negotiations cannot convince Al Qaeda’s leaders to lay down their arms.” These are the words of president Obama quoted from his Nobel Prize acceptance speech. He has to answer many questions with this speech and first and foremost in my mind is, Why does he deserve this prize? He didn’t earn it yet. JFK was a sitting president when he earned a Nobel Prize in LITATURE. Now don’t get me wrong i think President Obama has the capabilities to do a lot, but he hasn’t done it yet. And yes he could do all these great things but it makes me wonder if Denmark didn’t just want a visit from Obama. Especially because they are so pissed that Obama declined the luncheon in his honor, cause he’s too busy running this country. The truth is, to quote the history channel special The Presidents, ‘that it’s not just the man who makes the presidency but the unforeseen circumstances.” We don’t know what will be in store for the Obama presidency and we shouldn’t be rewarding him for it yet.